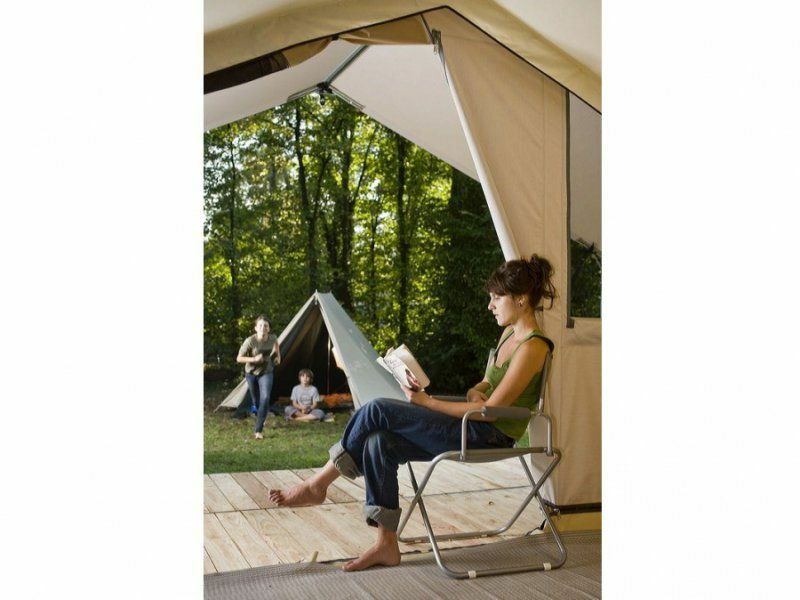 The equipped tent closer to nature ! 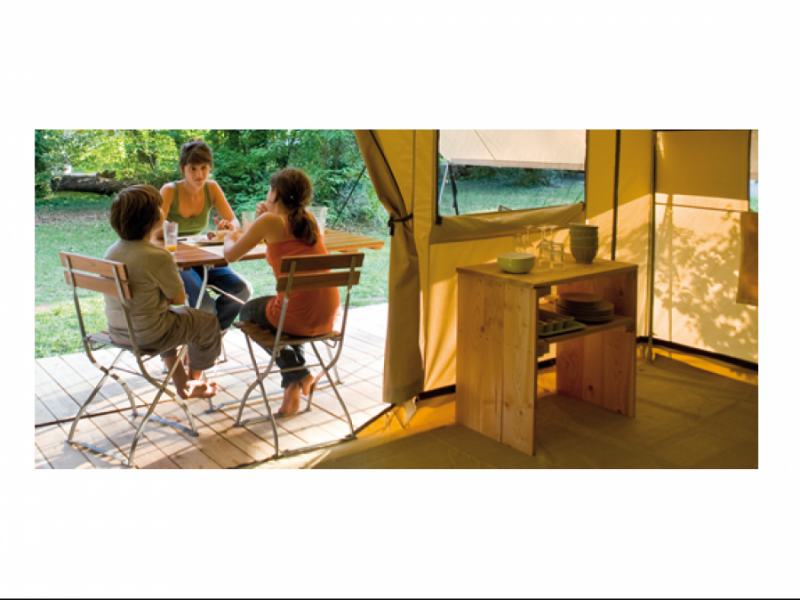 It is a new way to enjoy your holidays at the campsite, particularly attractive and affordable to accommodate 5 persons. 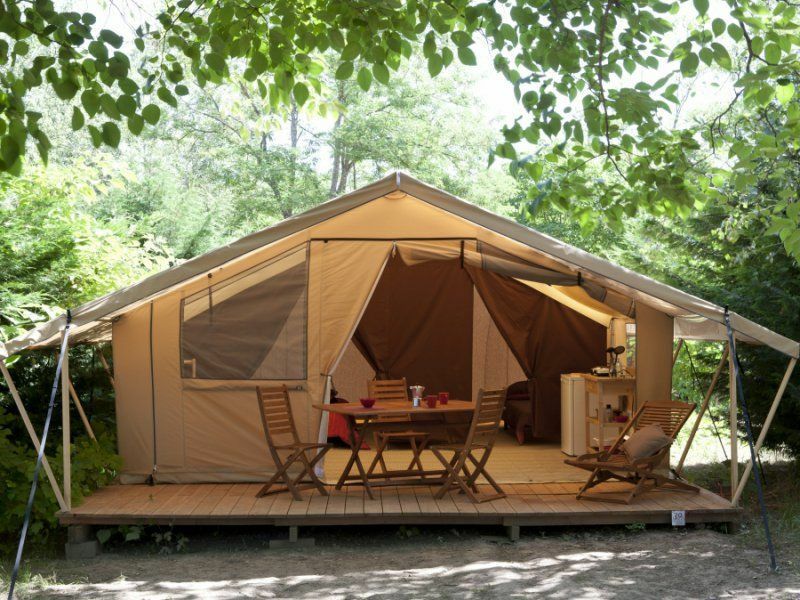 This 25m² tent (2.75m highr) has 2 bedrooms, one living area with a covered terrace as well as a practical and functional cooking area. Its colour « gazelle » and shape combined with its wooden and textile structure give it a natural look ! A large living space open on a 10m² terrace protected by an awning. 2 large windows on the facade. 2 large lateral windows in the living area. 1 ventilation window in each bedroom. 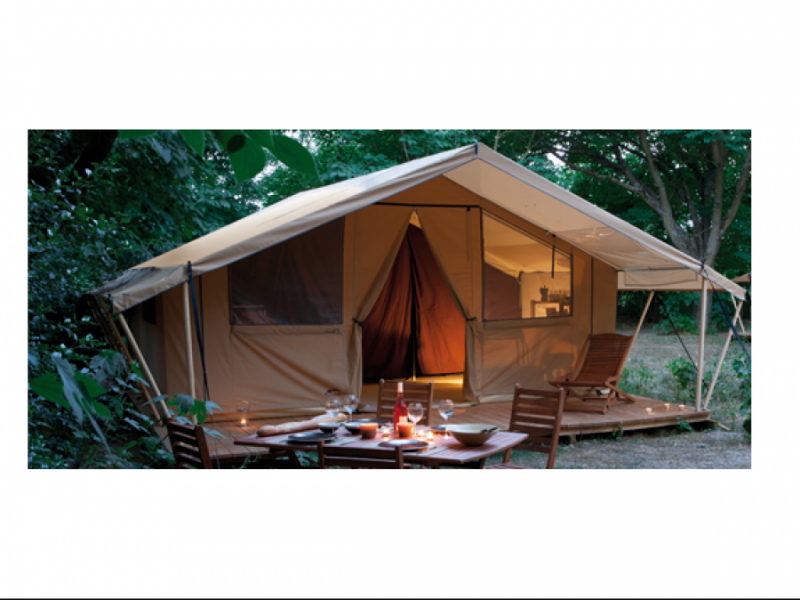 You wish to compare before hiring an equipped tent ? 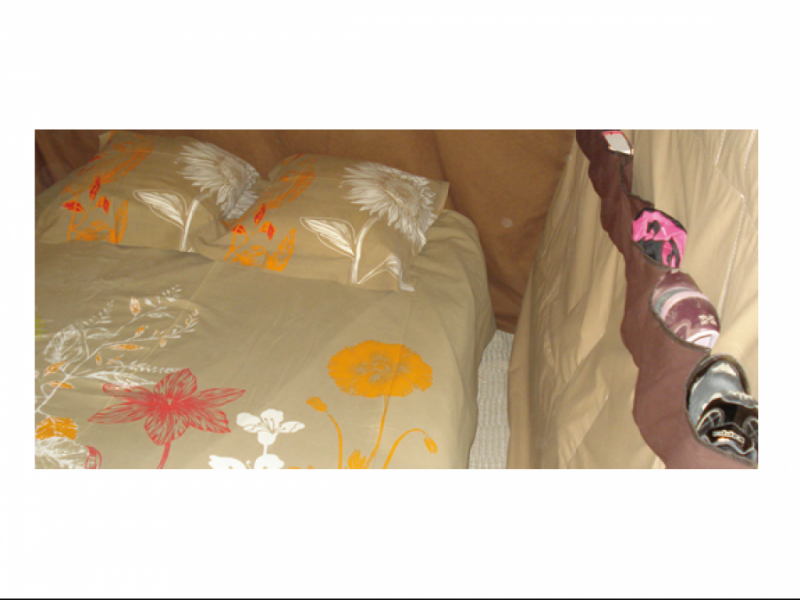 We invite you to check our other types of accommodation for your holidays by week, short stays and week-end. Among our mobile homes available, discover particularly our mobile home Relax 4 prs of which all our models have been changed in 2017 and are brad new. Ideal rental for a couple with or without children!This mobile home Relax has room up for 4 people.They are 24m² and are equipped with 2 bedrooms, separated by the lounge.